Periodontal disease is a mild to serious infection that – if left untreated – attacks healthy gums, teeth, and supporting bone structures. Periodontal disease is one of the chief concerns for any dentist, including Dr. Bakhtyari, due to the fact that the disease begins with the build-up of plaque (a sticky film of bacteria-causing food debris and saliva) that easily becomes calculus (tartar) on the surfaces of the teeth. 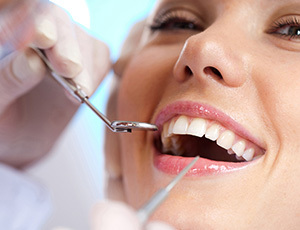 Regular brushing, flossing, and dental visits will help you maintain a beautiful smile that is largely free from plaque build-up and calculus. However, when these plaque and tartar elements are not prevented, treated, and removed, they begin to negatively impact the gums and bone that surround the structure of the teeth, leading to the onset of periodontal disease. Initial stages of periodontal disease are characterized by red, swollen, and bleeding gums. This first stage of the disease is called gingivitis and is easily reversed by brushing, flossing, and general good oral hygiene at the home. 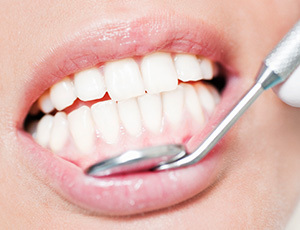 Left untreated, gingivitis may advance to periodontitis – the next stage of periodontal disease – where plaque spreads below the gum line and the resulting bacteria and toxins create an inflammatory response in the tissue surrounding the teeth. 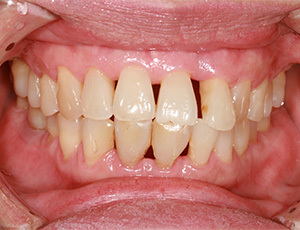 Worst-case periodontitis is evidenced by separation of the gums from the teeth, followed by the loosening and potential loss of teeth. As symptoms of gingivitis and early periodontitis are painless in the early stages, it is commonly believed by dental professionals that 4 out of 5 people don’t even know they have a growing periodontal disease concern. Additionally, some recent dental health research has suggested that there may be a link between periodontal disease and other systemic diseases and conditions such as diabetes, cardiovascular disease, stroke, and pregnancy issues. To ward off the signs and symptoms of periodontal disease, Dr. Bakhtyari recommends good oral hygiene, a balanced diet, and regular dental visits. If you have concerns, please speak to Dr. Bakhtyari or one of our hygienists about treatment during your next consultation. Discovering the presence of periodontal disease as early as possible is a top priority for our doctors and staff. During every regular checkup, our team will perform a periodontal probing in order to determine the depth of space between your teeth and your gums. This process is quick, comfortable, and very informative. Once we’ve determined that periodontal disease is present in your smile, treatment will need to proceed as soon as possible. Our goal is to alleviate your symptoms, revitalize your oral health, and prevent any further damage that could befall your teeth and gums. In-depth cleanings are available for advanced cases, and they will effectively remove plaque and calculus (tartar) from the gum line. 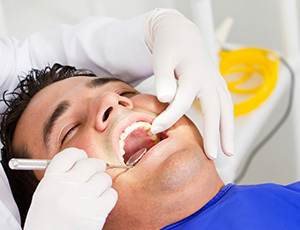 Periodontal disease can be treated and even avoided entirely with a solid maintenance plan. Patients of all ages need to attend regular checkups and cleanings every six months here at Premier Dental Care. You will also need to practice good oral hygiene techniques at home, including brushing twice each day and flossing at least once. Periodontal disease can rob patients of not only their natural teeth, but the healthy jawbone they need to replace them with dental implants. Thankfully, Dr. Bakhtyari offers bone grafting procedures that can rebuild this important structure and help you recreate the strong and confident smile you deserve. This graft will also encourage the growth of new, original tissue. 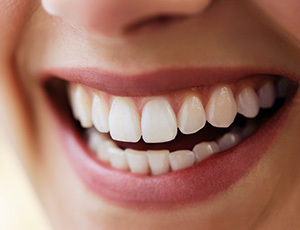 Sometimes, there is an excess of gum tissue that can cause teeth to appear overly short. This tissue may also make it more difficult to have decayed or damaged teeth treated with restorative care, as they will be harder to reach. Thankfully, a crown lengthening procedure can reveal much more of your dental structure, providing patients with valuable restorative and cosmetic benefits. Cases of moderate to advanced periodontal disease can be effectively treated with scaling and root planing. This in-depth cleaning removes plaque and tartar from the soft oral tissue, the crowns of your teeth, and even the roots hidden underneath the gum line. The process is non-surgical and minimally invasive, which will help patients remain comfortable.